Here are the Red and Yellow Pool Table Balls. They are the standard English Balls. They are seen on all pub slate bed pool Tables. 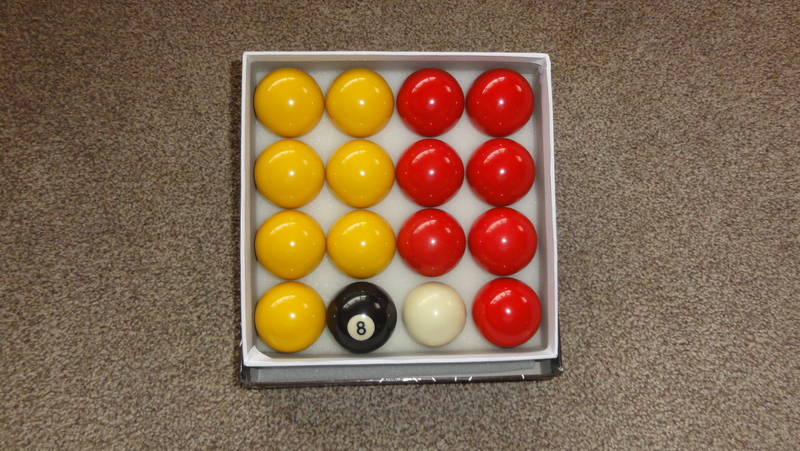 These are the Standard Pool Balls and are supplied with all of our Pool Tables. They are 1 inch 7/8 in size and come with the White cueing ball and the Black Ball.